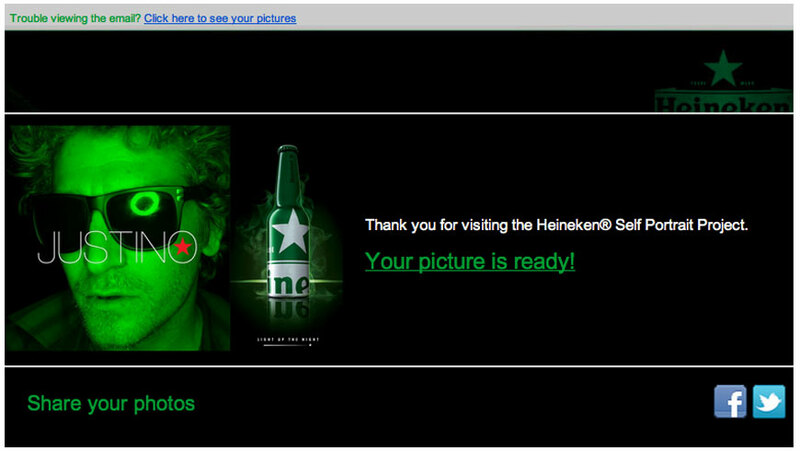 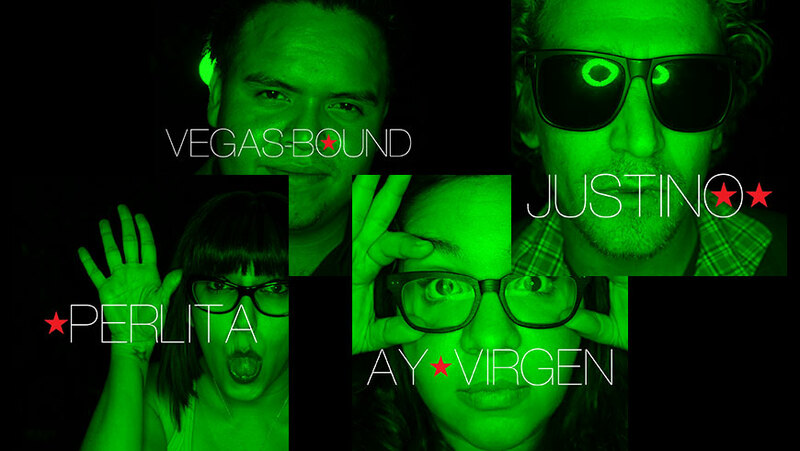 We worked with Corso Communications to create the Heineken Self Portrait project. 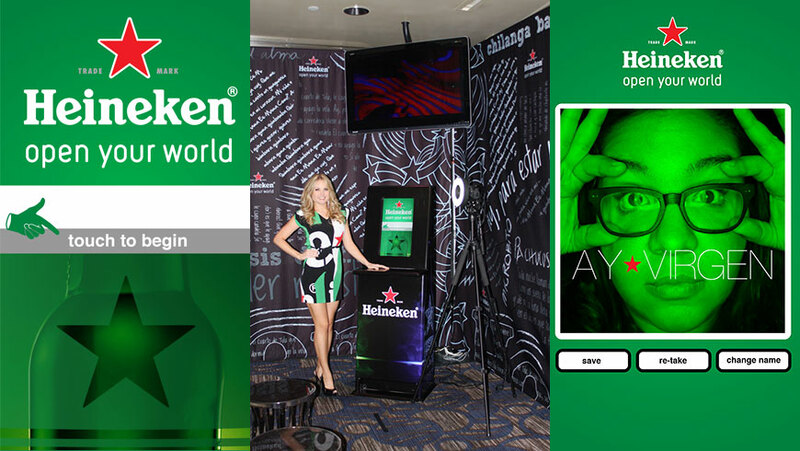 The system consisted of a custom photo capture software application that allowed patrons to enter their names or “Star Handles” in the UI. 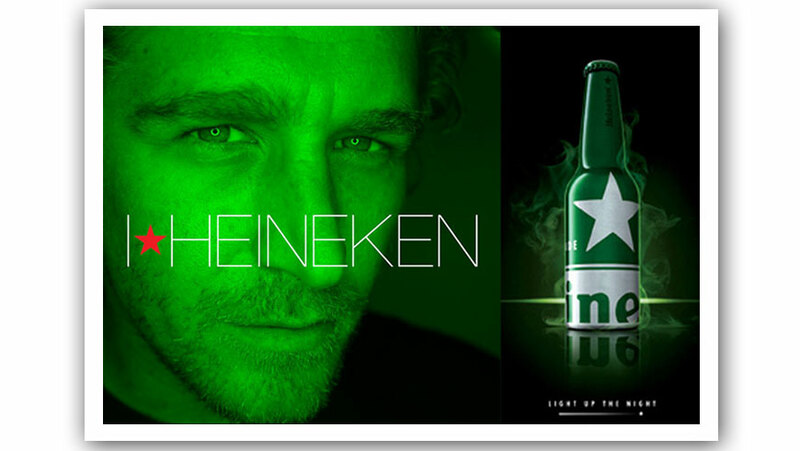 The names were dynamically placed on the photo along with utilizing an algorithm for placing the Heineken star graphic within and aound the names. 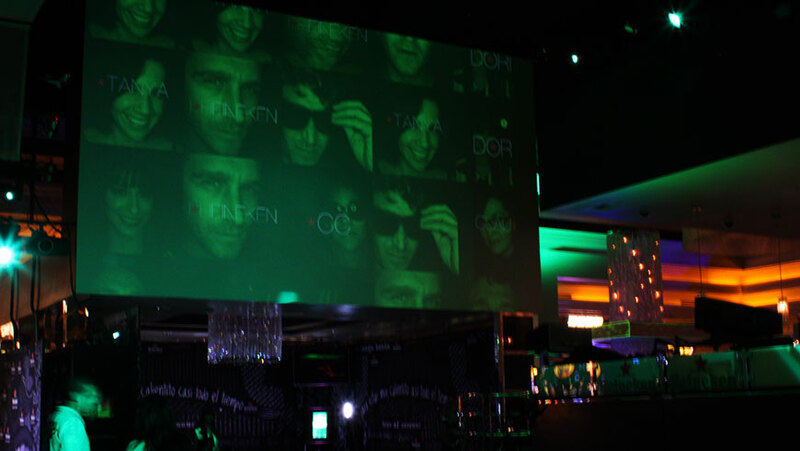 The photos were placed into a custom projection system which were displayed throughout the event. 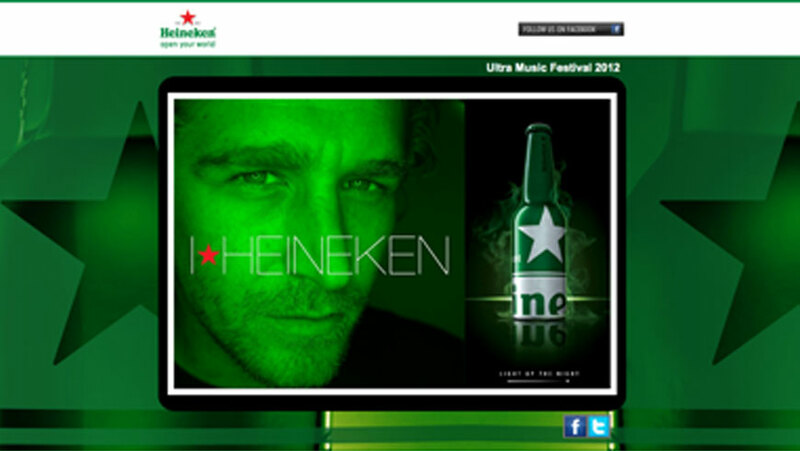 The user was given a print as well as sent an email with a link to a unique photo page which they could share to their social networks.